Family favorite, The Old Spaghetti Factory, will celebrate their Grand Opening on Monday, April 16 in their new location along Range Line Road in Carmel City Center. A special ribbon cutting with OneZone, the Hamilton County Chamber, will take place at 3:30 p.m. and their doors will officially open for dinner beginning at 4:30 p.m. on April 16. The Old Spaghetti Factory will open at 4:30 p.m. on weekdays and serve lunch on weekends beginning at 11:30 a.m. Weekday lunch service will begin at a later date after the opening. 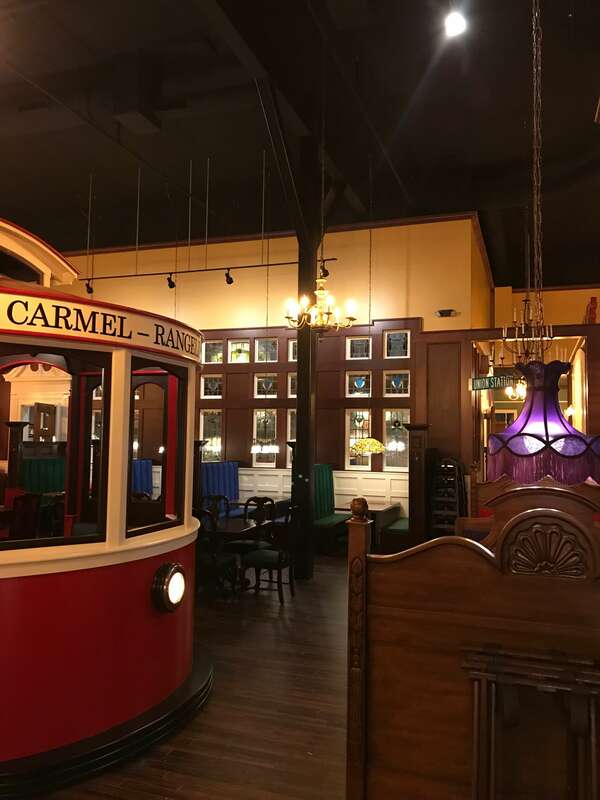 The Carmel location will be The Old Spaghetti Factory’s 44th location to date and the second in Indiana – which opened their doors in downtown Indianapolis 36 years ago. The Carmel restaurant will feature two, private banquet rooms to accommodate 40 people and 100 people respectively and an outdoor patio that will seat 50 people. The trolley car, a longtime favorite found in each Old Spaghetti Factory location, is situated in the middle of the main dining room and available for guests to dine in as well. “With our history in Indianapolis, opening a second location in the surrounding area has been a goal of ours for some time now. The location in Carmel City Center caught our eye right away and we couldn’t be more excited about opening. Carmel and the surrounding communities have countless guests that we’ve served over the years in Indianapolis. We look forward to serving them more often in our new location and introducing our décor, service, and deliciously affordable three course meals to new guests as well,” said Chris Dussin, chairman of The Old Spaghetti Factory. The Old Spaghetti Factory is located at 918 South Range Line Road in Carmel. Surface parking is available in front of and behind the restaurant. Guests can also park in the nearby Veterans Way Garage (accessible from Range Line Road and City Center Drive) located just north of The Old Spaghetti Factory.